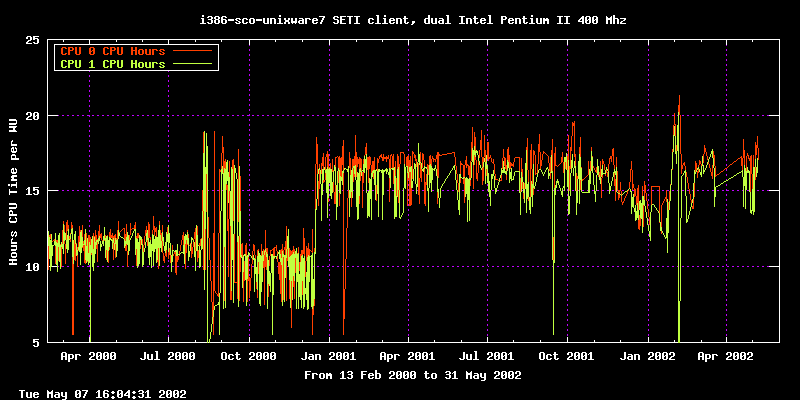 The client in use at the beginning was the sco-sysv5.unixware7 client. in use is the i686-pc-linux-gnu-gnulibc2.1 client. responsibility, however I have never been able to find a solution. 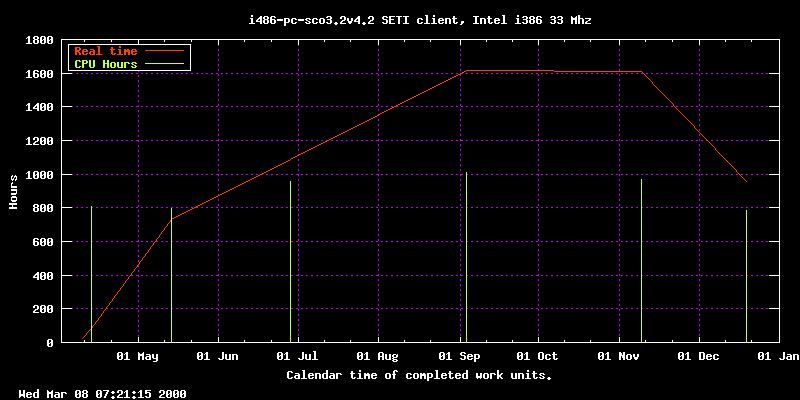 on an Intel 386 CPU running at 33 Mhz running SCO OpenServer 3.
time consumed between completion of work units. was consuming the CPU time. The machine only had 16M bytes of memory. Please leave a comment in the guestbook. Thanks. Page last updated: Tuesday, 07-May-2002 00:00:00 PDT.